Oh, I added the frenched in Rigid lightbar..... the rest is completely Mike's design. Looks great. Looks especially good with the SS grill. 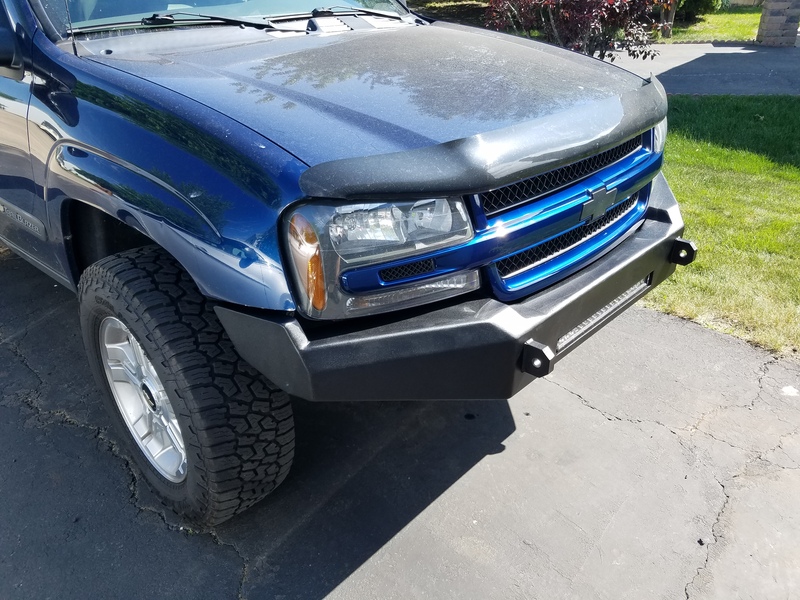 What do you think of the light bar? Those LED bars just don't always give a great beam in my experience. Trail X wrote: Looks great. Looks especially good with the SS grill. 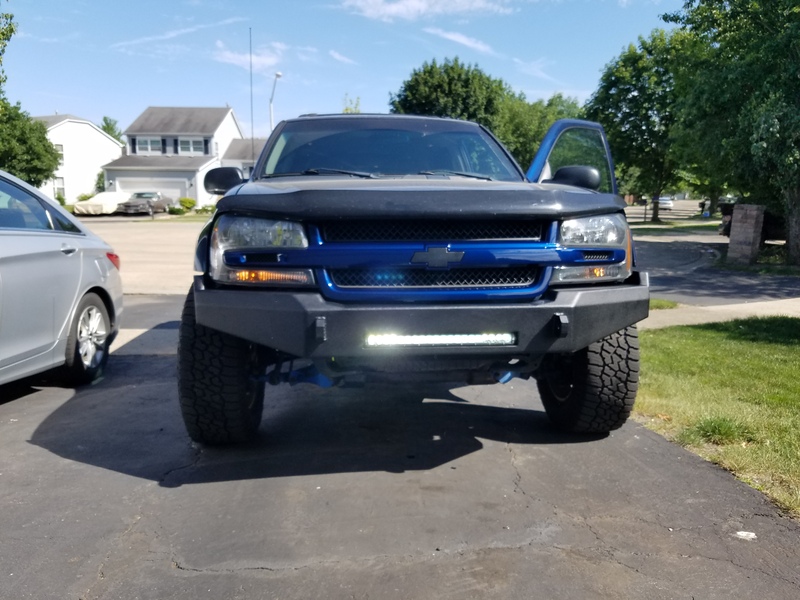 What do you think of the light bar? Those LED bars just don't always give a great beam in my experience. 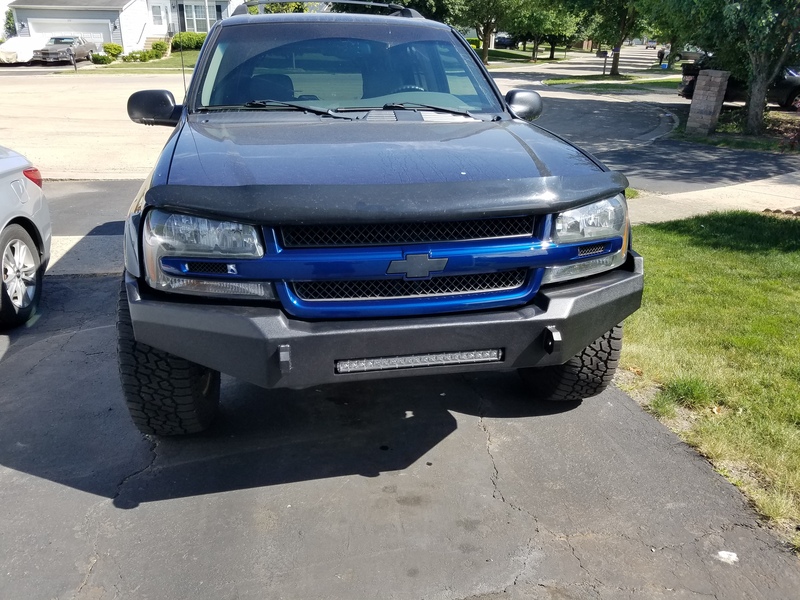 I've had really good and really bad light bar beams. For instance, the 30" bar on my 3/4 ton is a ton of light, but it's just all "blah'd" out there with no particular beam. It's OK for what I use it for, which is watching for deer and stuff off the sides of the road, at night, but it's not great. However, the ones I've got on and in my bumper are actually a really good, usable, reasonably long distance beam! I was really surprised! The bars are on a separate enable switch, but the 42W round ones are on with the brights. The 42W round ones are also a "bunch of light in no particular direction" pair of lights. Good for spotting deer and such. I guess my problem with the LED bars is that they still haven't figured out how to make anything other than a conical beam. You either get a conical pencil beam, or a conical flood beam. I'd love to see a LED bar with a nice wide ground pattern, with minimal vertical spread... Projector-esque, but I haven't really seen that happen yet. I believe the auto makers that are doing LED headlights are attaining this by basically putting an LED behind a projector lens. Trail X wrote: I guess my problem with the LED bars is that they still haven't figured out how to make anything other than a conical beam. You either get a conical pencil beam, or a conical flood beam. I'd love to see a LED bar with a nice wide ground pattern, with minimal vertical spread... Projector-esque, but I haven't really seen that happen yet. I believe the auto makers that are doing LED headlights are attaining this by basically putting an LED behind a projector lens. Mike...did the 42w round make a big difference over the 27w ones? they've always worked for me. They seem to be staying on top of the industry, that's for sure. Technology AND price wise. Had my Amazon lightbars for several years with no issues. The light output is different than a regular spotlight/driving light in the halogen round or square, but I personally like it far better. I don't run fast when I need the lights and the disbursement allows for more usable light to me. HARDTRAILZ wrote: Mike...did the 42w round make a big difference over the 27w ones? There's a little more light, but it's not appreciable, I don't think. Despite the labeling on the package, I'm not sure these aren't the "wide" beam, as the lights seems more spread than the 27W ones. 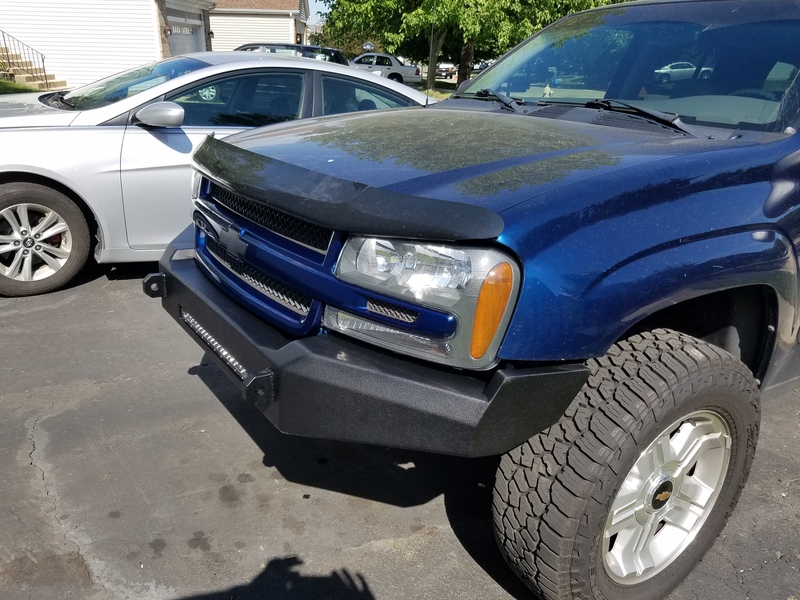 As kind of mentioned....if you spend a little more, you can get a really good light bar that does both. I have one very similar to the rigid one. Its every bit of 900 watts as it says and puts light where you actually want it. Sorry to steal your thread. Mike I'm interested in a bumper for an 04. Miltman wrote: Sorry to steal your thread. Mike I'm interested in a bumper for an 04. You've found it and replied by now, but I replied to your PM last night.